Welcome back to our series on Growing your own healing herbs! In the last entry we talked about the basics of growing herbs in garden planters. We covered everything from water, fertilizer, plant selection and of course pottery selection. In this entry we will get more specific, starting with the herbs Peppermint and lavender. Two very popular choices. Peppermint is known for soothing your stomach and aiding in digestion. It has a familiar scent, and mild stimulating property. It makes a love addition to a bedroom where the fragrance is calming and inspirational. Place next to your bed for a comforting sleep. Because it tend to creep and take over a garden, it's perfect for planting in a garden pot, where the roots will be contained. 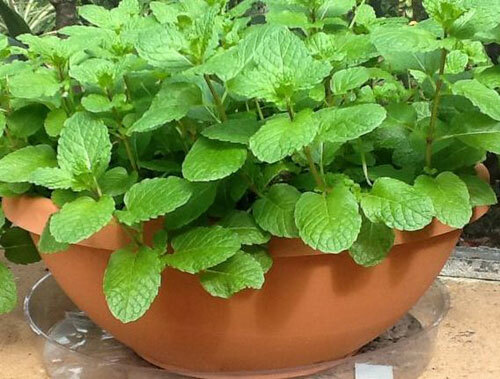 Peppermint loves shade but can handle direct sun if you make sure and keep the soil moist. 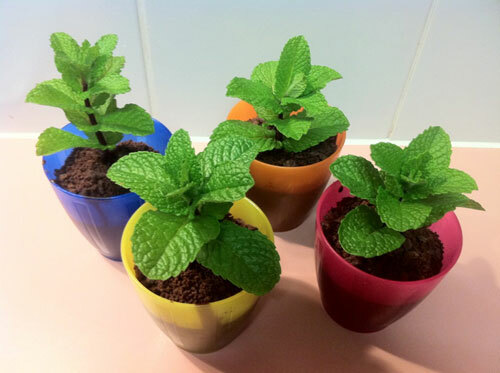 The leaves of the peppermint plant are great and versatile to use. They dry easily if you place them in a basket or drying rack, out of the sunlight. Toss a couple of time daily till crispy dry. Discard the stems when ready to use and store them away from heat. Each plant yields several harvests. For a stomach ache, try a cup of peppermint tea. Chilled tea makes a cooling body spray for a refreshing soak for hot days. Prized for it's aroma, lavender is among the best herbs for easing stress and boosting mood. It's also antimicrobial and antiseptic. 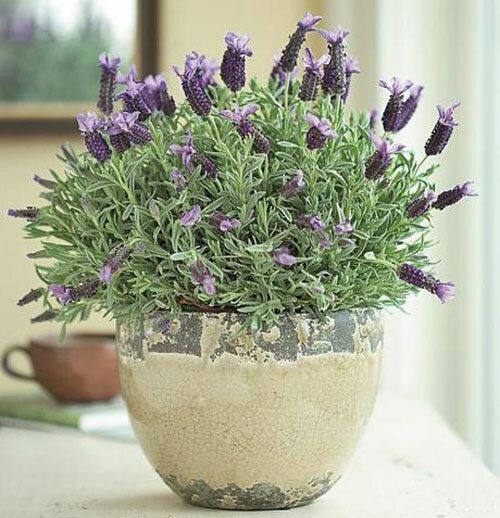 A perennial, lavender is best started from a nursery plant. Be careful not to over water as this plant is sensitive. Bundle with a rubber band when ready to harvest and hang in a dark areas with good air circulation. These bundles make great room fresheners or chop them and make a sachet. Use can use lavender to make a tea. 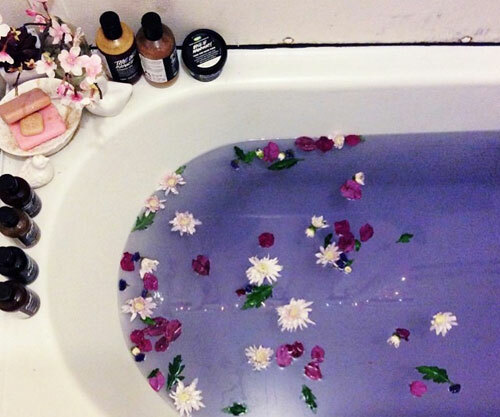 Another great thing to do is use in bath water for a soothing soak. We love a potted lavender plants around the home, next to the bed, in the bathroom or anywhere you would enjoy this lovely fragrance. Stay tuned to Part 3 where we will cover the herbs Basil & Thyme! Read more.....A few yas to keep your potted garden healthy!